Quinoa is one of the super foods that is gaining popularity these days. I have been trying out a variety of recipes with it. When jagruti invited me to do a guest post for her I thought of creating a new dish with this super grain. 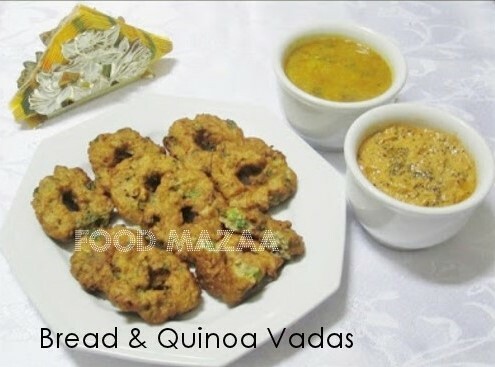 I came out with the idea of making vadas and the recipe is very simple. 1. Mix all the ingredients together except oil. 3. Heat oil in a pan and take a little portion of the vada dough on your wet palm, make a small hole in the middle and drop it into the oil. 4. Fry them to a golden brown colour. Serve with chutney of your choice and sambar. Tip: If you are not ready to fry the vadas immediately, do not add salt until then because it leaves water. For variation we can add grated carrot or cabbage, or finely chopped greens as well. Click on the top Image. 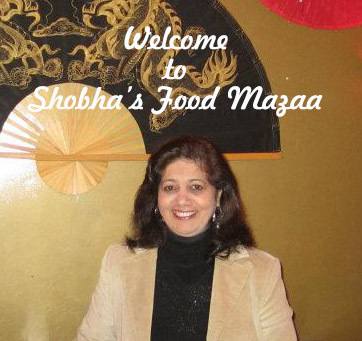 Wow Shobha! I enjoyed reading about you more than the recipe itself. You have come a long way:) Keep up the good work!